ClimateWorks is governed by a board of directors that includes leaders of some of the world’s most reputable philanthropic, academic, and business institutions active in efforts to tackle climate change. Mr. Jamshyd N. Godrej is the Chairman of the Board of Godrej & Boyce Manufacturing Company Limited. He graduated in Mechanical Engineering from Illinois Institute of Technology, USA. Mr. Godrej is the former Chairman of Ananta Aspen Centre (previously known as Aspen Institute India), Chairman & Trustee of Ananta Centre. He is the President of World Wide Fund for Nature – India. He is the Chairperson of the Board of Directors of Shakti Sustainable Energy Foundation, India Resources Trust and Council on Energy, Environment and Water. He is a Director of World Resources Institute, USA. He is also a Trustee of the Asia Society, USA. He is a member of Toyota Motor’s Global Advisory Board and Asia Pacific Regional Advisory Committee. He is the Past President of Confederation of Indian Industry and also the Past President of the Indian Machine Tool Manufacturers’ Association. Mr. Godrej is an ardent yachting enthusiast and has done extensive cruising along the west coast of India, the Baltic & North Sea, the Atlantic Ocean and in the Mediterranean Sea. From 1999-2005, he was German Deputy Minister of Finance (State Secretary). His responsibilities included international finance (G-7 Deputy), European economic and financial affairs, as well as capital markets, banking and insurance. From 2003-2005, Mr. Koch-Weser held the position of Chairman of the EU’s Economic and Financial Committee, a committee of treasury directors and deputy central bankers that prepares EU ministerial meetings (EURO Group and ECOFIN). He was also Chairman of the Supervisory Board of BaFin (German Banking and Securities Supervisory Agency). From 1973 until 1999, Mr. Koch-Weser held a number of high-level positions in the World Bank in Washington, notably as Division Chief for the China Program (1980-86), Director for West Africa (1986-90), Deputy Treasurer and Director Treasury Operations (1990-91), Regional Vice President for Middle East and North Africa (1991-95), and Managing Director Operations and Member of the Executive Committee (1996-99). 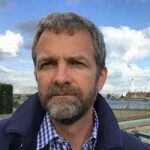 Other current activities include Member of the Board at the World Resources Institute (WRI) in Washington; a Member of the Global Commission on the Economy and Climate(NCE); a Member of the Board of the Centre for European Reform (CER) in London; and Chairman of the Board of the European Climate Foundation. Mr. Koch-Weser studied economics in Germany. He is a German and Brazilian national, born in Brazil. He is married with three children. Larry Kramer is president of The William and Flora Hewlett Foundation in Menlo Park, California. Before joining the Foundation, Mr. Kramer served from 2004 to 2012 as Richard E. Lang Professor of Law and Dean of Stanford Law School. During his tenure, he spearheaded significant educational reforms, pioneering a new model of multidisciplinary legal studies. His teaching and scholarly interests include American legal history, constitutional law, federalism, separation of powers, the federal courts, conflict of laws, and civil procedure. 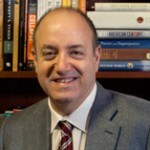 Prior to his time at Stanford, Mr. Kramer served as professor of law at the University of Chicago and University of Michigan law schools and as Associate Dean for Research and Academics and Russell D. Niles Professor of Law at New York University School of Law. Mr. Kramer received an A.B. in Psychology and Religious Studies from Brown University, and a J.D. from the University of Chicago Law School. He is the author of numerous articles and books, including The People Themselves: Popular Constitutionalism and Judicial Review. 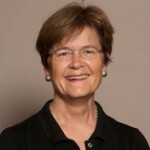 Ms. Larson has held the position of President and CEO since January 2004. 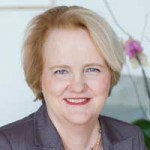 Ms. Larson served as the Packard Foundation’s director of programs from 1995 through 1999 and was appointed a vice president of the organization in 2000. She is responsible for the overall management of the Foundation and its grantmaking activities. Ms. Larson serves on the board of the Sobrato Family Foundation and American Leadership Forum-Silicon Valley. Prior to joining the Foundation, Ms. Larson was a partner in a Los Angeles, California law firm specializing in civil litigation. She also worked in the nonprofit sector on behalf of persons with developmental disabilities. Ms. Larson received her BA from Stanford University and JD from Yale Law School. The Foundation has assets totaling $6.7 billion, annual giving of over $300 million, and environment programming annual giving of $140 million. The Foundation makes grants domestically and internationally in the program areas of Conservation and Science; Population and Reproductive Health; and Children, Families, and Communities. Pamela Matson is the Naramore Dean of the School of Earth Sciences and the Goldman Professor of Environmental Studies at Stanford University. She was an early contributor to the international global change research program, serving in leadership positions in the International Geosphere-Biosphere Program, and on the National Academy Board on Global Change. 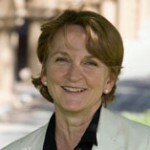 More recently, she served on the National Research Council’s Committee on America’s Climate Choices and chaired its panel, ‘Advancing the Science of Climate Change.’ In her research and leadership roles, Dr. Matson also has worked in the emerging field of sustainability science, serving as a member of the National Academies Board on Sustainable Development and as the founding chair of the National Academies Roundtable on Science and Technology for Sustainability. Her contributions have been recognized through election to the National Academy of Sciences, as a Fellow of the American Association for the Advancement of Science, and as a recipient of a MacArthur prize. Dr. Matson received a B.S. in biology from the University of Wisconsin in 1975, an M.S. in environmental science from Indiana University in 1980, and a Ph.D. in forest ecology from Oregon State University in 1983. 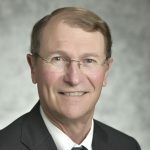 Franklin M. (“Lynn”) Orr, Jr.
Franklin M. (“Lynn”) Orr, Jr. served as Under Secretary for Science and Energy at the US Department of Energy from December 2014 to January 2017. 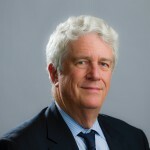 He was director of the Precourt Institute for Energy at Stanford from its establishment in 2009 to 2013 and served as director of the Global Climate and Energy Project from 2002 to 2008. 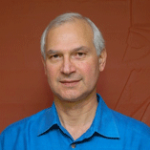 Orr was the Chester Naramore Dean of the School of Earth Sciences at Stanford University from 1994 to 2002. He has been a member of the Stanford faculty since 1985 and holds the Keleen and Carlton Beal Chair of Petroleum Engineering in the Department of Energy Resources Engineering, and was a Senior Fellow at the Woods Institute for the Environment and the Precourt Institute for Energy. His research activities focus on how complex fluid mixtures flow in the porous rocks in the Earth’s crust, the design of gas injection processes for enhanced oil recovery, and CO2 storage in subsurface formations. Orr is a member of the National Academy of Engineering. He served as vice chair of the board of directors of the Monterey Bay Aquarium Research Institute until 2014 and rejoined that board in 2017. He chaired the Advisory Panel of the Packard Fellowships for Science and Engineering for the David and Lucile Packard Foundation until 2014, rejoining that panel in 2017, and was a foundation board member from 1999-2008. Kristian Parker is Vice-Chair of the Board of Trustees of the Oak Foundation and a member of its founding family. Oak Foundation commits its resources to address issues of global social and environmental concern, particularly those that have a major impact on the lives of the disadvantaged. He has overseen the Oak Foundation’s environment program since its inception in 1998, and has worked full-time for the programme since 2003. The Oak Foundation’s environment programme dedicates a majority of its resources to two of the world’s biggest challenges: climate change and collapsing fish stocks. Kristian is both a British and Danish citizen, born in Aalborg, Denmark and raised in Switzerland. He graduated from Colby College (Waterville, Maine) and received a Doctorate in Environmental Sciences from the Duke Marine Laboratory (Beaufort, North Carolina). From 2001 to 2002 Kristian held a postdoctoral fellowship at the Kewalo Marine Laboratory in Honolulu, Hawaii. 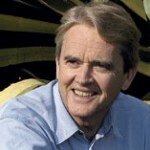 Kristian is also a founding board member of OceansFive and a member of the Board of Oceana and ClimateWorks. Charlotte Pera is President and CEO of the ClimateWorks Foundation, a leading philanthropic organization that works globally to mobilize philanthropy and advance climate solutions. Charlotte previously held leadership roles for more than a decade at the Energy Foundation, including Senior Vice President and Director of US Programs, and US Transportation Program Director. She helped launch the Energy Foundation’s program in China and supported the creation of the European Climate Foundation. Earlier in her career (1991-1999), Charlotte analyzed advanced vehicle technologies, developed emissions inventory models, and designed public programs to reduce vehicle pollution at engineering consulting firm Acurex Environmental. 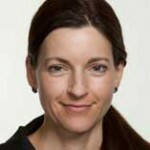 Charlotte serves on the supervisory board of the European Climate Foundation and the Stewardship Board of the World Economic Forum System Initiative on Shaping the Future of Environment and Natural Resource Security. She served for many years as a founding board member of the International Council for Clean Transportation. Charlotte holds B.S. and M.S. degrees in mechanical engineering from Stanford University. John Podesta is the founder and a board member of the Washington, D.C.-based think tank Center for American Progress. Mr. Podesta served as Counselor to President Barack Obama from January 2014 to February 2015. His duties included overseeing climate change and energy policy. In 2008, he served as co-chair of President Obama’s transition team, where he coordinated the priorities of the incoming administration’s agenda, oversaw the development of its policies, and spearheaded its appointments of major cabinet secretaries and political appointees. Prior to founding the Center for American Progress in 2003, Mr. Podesta served as White House chief of staff to President William J. Clinton. He also recently served on President Obama’s Global Development Council and the UN Secretary General’s High-Level Panel of Eminent Persons on the Post-2015 Development Agenda. 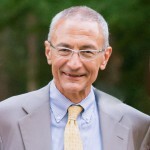 A Chicago native, Podesta is a graduate of Knox College and the Georgetown University Law Center, where he is currently a visiting professor of law. He is the author of The Power of Progress: How America’s Progressives Can (Once Again) Save Our Economy, Our Climate and Our Country. Sue Tierney is a Managing Principal at Analysis Group in Boston. She is an expert on energy and environmental policy and economics, specializing in electricity and natural gas. Formerly Assistant Secretary for Policy at the U.S. Department of Energy and Secretary of Environmental Affairs and public utility commissioner in Massachusetts, she is a member of the Bipartisan Policy Center’s energy project and the Secretary of Energy’s Advisory Board. She serves on the boards of directors of World Resources Institute, Clean Air Task Force, Energy Foundation, Alliance to Save Energy, and other non-profit energy/environmental organizations, and chairs the advisory council of the National Renewable Energy Lab. She is an ambassador for the U.S. Clean Energy Education & Empowerment program, an initiative of the DOE and MIT. She received the 2012 Hall of Fame award from the New England Clean Energy Council and the 2013 Leadership Award for New England Women in Energy and the Environment. She has published widely, taught at the University of California at Irvine and at MIT, and received her Ph.D. from Cornell University. William K. Reilly is a founding partner of Aqua International Partners LP, a private equity fund dedicated to investing in companies engaged in water and renewable energy. He is also a senior advisor to TPG Capital LP, an international investment partnership. Mr. Reilly served as the administrator of the U.S. Environmental Protection Agency (1989-1993), president of the World Wildlife Fund (1985-1989), president of The Conservation Foundation (1973-1989), and director of the Rockefeller Task Force on Land Use and Urban Growth (1972-1973). He headed the U.S. Delegation to the U.N. Conference on Environment and Development in Rio in 1992. He holds a B.A. degree from Yale, a J.D. from Harvard, and an M.S. in urban planning from Columbia University.